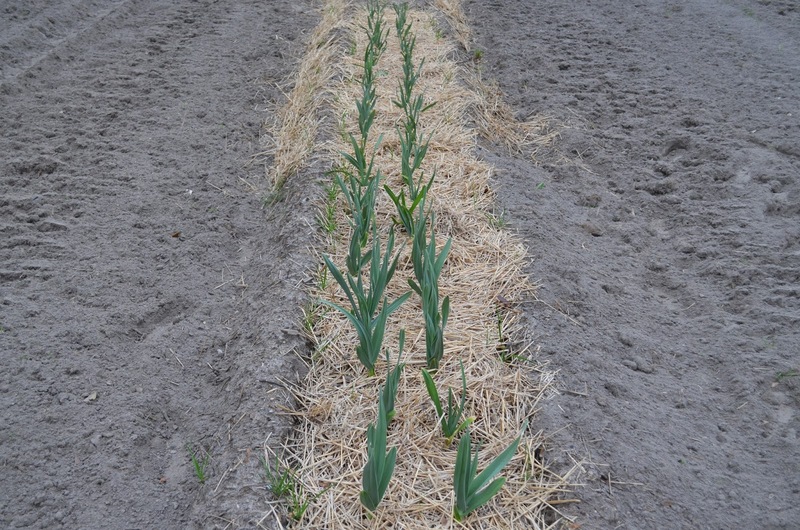 This is the garlic I planted in late December. It's coming along nicely. Should be ready for harvest about May or June. The variety is Elephant Garlic - the bulbs are very big and look almost like an elephant's foot. They are very mild, which is what I prefer. I'll post another picture as they get taller, then a final picture when I harvest.